Articles Prescription Diet Cat Foods - Real or Not? Prescription Diet Cat Foods – Real or Not? When a veterinarian says your cat needs a "prescription" diet, does that mean the food you are being asked to buy is high quality and contains healthy ingredients or is even necessary for your cat? In my experience of over 35 years of being a breeder, coupled with conversations with my own veterinarians, and to a nutrition expert (someone that received specialized training in pet nutrition past their four years of veterinary school) prescription diets represent an area of the commercial cat food industry that is, at best, misleading and not well understood. In particular, Hill's Science Diet prescription food is not only expensive but contains ingredients that are NOT healthy for our cats. For example, Science Diet prescription dry and canned foods contain: corn, oats, wheat and soy which have no nutritional or health value to a cat's diet. Corn is a filler and is not well tolerated by, nor has any nutritional value, to cats. Because these prescription foods contain fillers, they are high in carbohydrates (mostly in dry form) and low in moisture (water). Additionally, Persian cats are known to have more sensitive digestive systems and food allergies to corn and soy. Many prescription diets do not contain real (muscle) meat protein but instead use "by-products" as the main source of protein (often the only source of protein). Not only do cats need a real meat protein, but they require water and lots of it in order for their urinary tract and other organs to work properly. By-products are less expensive than muscle meat. You would think (for as much as they charge for their "prescription" diets), pet food companies would use a healthier and more consistent meat source as well as other known healthy ingredients. Ingredients in pet food are listed in descending order by weight. 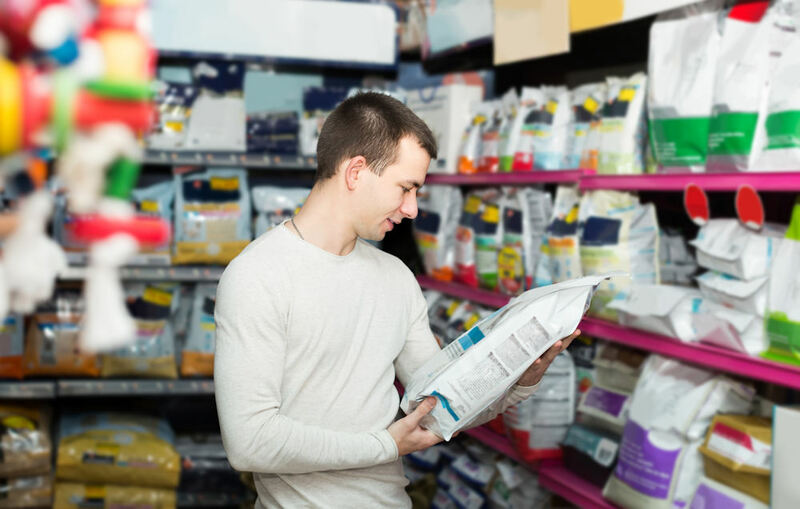 However, many labels are misleading as pet food companies will "bury" (called "ingredient splitting") the same ingredient (named differently) lower in the list. This means it allows the different grain ingredients to be broken up into smaller units placing them lower on the ingredient list. However, when all the grains are added up, their total contribution to the diet (including the protein content) often greatly outweigh the first listed ingredient. As you can see, the first two ingredients are carbohydrates, third is chicken by-product meal. This means this food is HIGH in carbohydrates and is NOT meat based; fat and flavor do not count as a meat. Furthermore, there is no independent agency or the FDA or Agricultural Department that oversee the medical claims of "prescription" diets. In my opinion, this is scary. The FDA is limited by law leaving pet food companies free to tout the efficacy, safety and suitability of these foods to veterinarians and the public. Additionally, most veterinarians do not have adequate education on nutrition. They are not "specialists". They are not "nutritionists". Over ten years ago, I asked my veterinarian why he recommended and carried Hill's Science Prescription Diets knowing it contained corn, by-products and other fillers which he knew was not healthy for dogs or cats. His answer: while he was in vet school the nutrition course was very short with minimal work required and was oftentimes taught by people with ties to the pet food industry. My vet admitted that the "nutrition" portion of schooling was sadly lacking in what was and was not a proper diet for all the different species they have to learn about. In short, there was not enough time to adequately study nutrition and subsequently, veterinarians rely on, and allow Hill's, Purina, Iams and Royal Canin to dictate what ends up in our cat's food bowls. Quoting the FDA/CVM Communications Staff Deputy Director: "Prescription diet" is an industry-coined term and holds no legal meaning." What does that mean? These prescription diets contain no ingredient that actually requires a "prescription". The trademark "prescription" was granted to Hill's in 1990 and is a marketing tool between Hill's Science Diet and veterinarians. I believe that veterinarians prescribing these diets truly believe they are doing what is best for their patients, but only because that is what they have been told, not based on any evidence. Companies such as Hill's, Purina, Iams, and Royal Canin have done a great job marketing products to veterinarians and it has become routine for a vet to reach for a can of c/d if a cat presents with a urinary tract infection or other "prescription" diets for other issues. It is a no brainer for them. Sadly, contrary to pet owners and veterinarians' belief, these prescription diets are not formulated for optimal health for a cat, and in many cases, could be detrimental. Just read the label of any of these "prescription" diets and really look at the ingredients in them and you will see how unhealthy these foods are. For further reading on this subject, written by a FELINE veterinarian, click here..